The real ending for “Emperor’s new clothes” tale is not the crowd laughing out loud at the ashamed king whose nakedness is finally revealed. The censored but real version sees the kid who told the truth being lynched by the forcibly awakened and shapeless mob. It’s a deadly sin to unveil the horrible and the stupid behind the rosy and pleasant world everyone wants to see. Spectres are that kid, but they’re clever enough to run away fast one second after having shouted the uncomfortable revelation. The stones, you can hear them hailing from the very start of this second album of them, which comes after the first “Dying”, and after “Dead”, where they commissioned to notorious killers such as Mogwai, Richard Fearless and Factory Floor the destruction of their sound, through electronics. “Condition” is actually their own move to a thick electronic sound, resulting in claustrophobic spiralling tunnels. It’s the rabbit in your headlight, but the moment after the crash, when all is left are broken bones, blood and pieces of fur smashed on the asphalt. There’s a sense of epic, glorious, careless discomfort flowing all through these tracks, ferocious, harsh and pitiless. Filtered voices moaning and screaming, clang of chains, squeaks and groans, shooting and sewing. The smile of the Cheshire Cat hanging in the darkness, the soundtrack for the glare of the pyres of books in Fahrenheit 451. Funnily distressing. Spectres unorthodox attitude can remind early Radiohead, a band of freaks who invited themselves at the party to ruin it, smashing crystal glasses and throwing up on marble floors. But with no trace of miserablism. 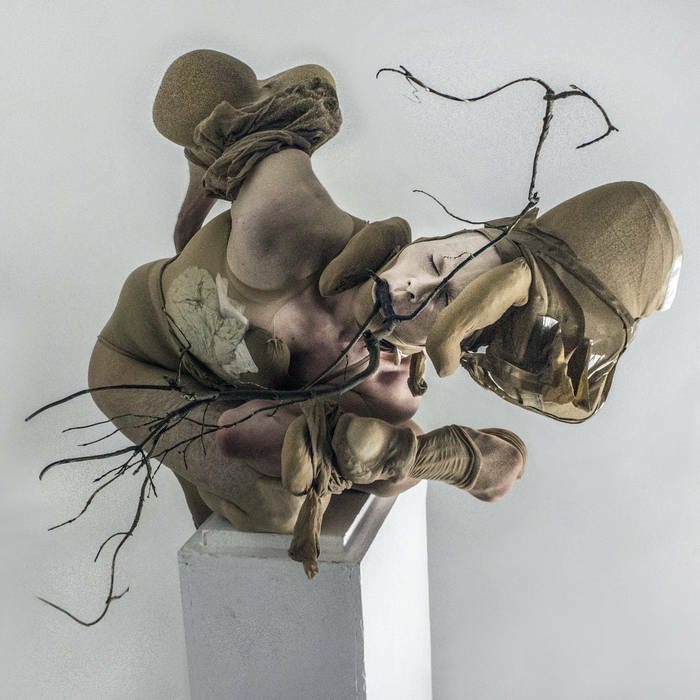 It’s a “vulgar mess”, as depicted by the front cover image designed by Stephanie Third: “human emotions bulbing out of a body”. Conditioned.